We ride year round, whether snow or rain or shine on shorter, heartwarming routes. It’s a bit colder, but no less fun as long as you layer up! 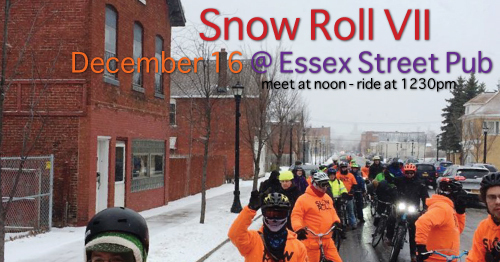 Join us for the first of three Snow Rolls on Saturday December 16 at Essex Street Pub. Meet at noon, ride at 1230pm.